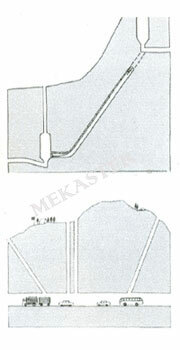 Mekaster has developed a unique system for excavation of Shafts in underground construction & mining application. Irrespective of the application whether in underground Construction or Mining, Shaft Raising Platform, provides for easy, safe & fast access to excavate shafts/raises in various rock strata's. This extremely versatile & robust system offers solution for achieving a range of inclinations & cross sections. The shaft raising platform is deployed at the bottom of the shaft & works upwards. It can be used for excavation of shafts between two levels or simply blind raising, if required. 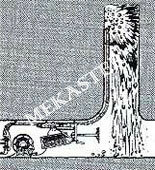 Shaft raising provides for minimal preparation time needed before actual excavation of the shaft. It also provides for saving in cost in terms of safety, time, speed & accuacy. The operating cost is far lower than any other method used for shaft excavation. 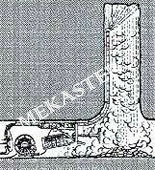 The actual saving in cost will depend on the length, diameter & inclination of the shaft. The most important advantage of this system is that it allows the excavated material to fall freely to the bottom of the shaft from where it can be easily removed without involving additional machinery, thus saving costs. Excavation of shafts:Surge, Penstock, Cable, Ventilation, Gate, Access, etc. in Hydroelectric projects, Ventilation/access shafts of Road & Rail Tunnels, Excavation of varius shafts in Mines-Zinc, Copper,Uranium etc. 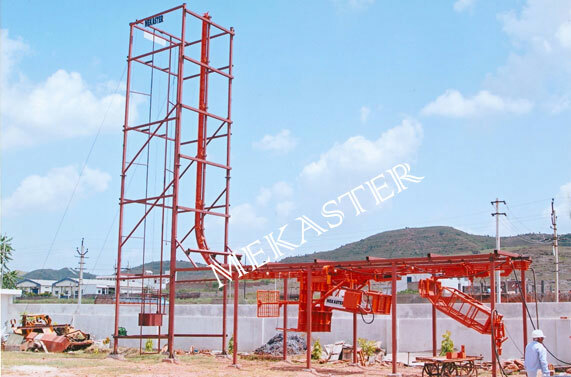 Mekaster Shaft Raising Platform is available in two versions namely: Electric & Diesel. The choice is dependent on the size, dia & length of raises & local conditions. The Drive & units are easily serviceable. 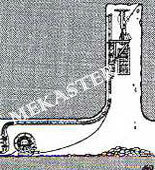 The Mekaster Shaft Raising Platform is Highly flexible and can fit all types of shafts and raises. It can be ideally used for all inclinations above the angle of repose. 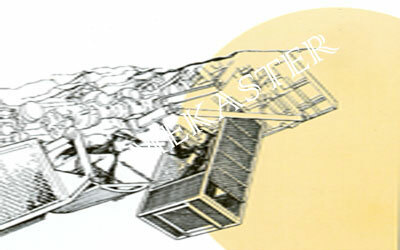 Depending on the length of shaft the user can always opt for the auxiliary hoist. The hoist operates on the same rail below the Mekaster Shaft Raising Platform. It can not only be used to transport men, material or equipment to the platform but also for inspection, during breakdown and in case of emergency. Experiences in building construction and industrial hoists have led us to develop and improve constantly. A hand operated centrifugal brake controlled by an over speed governor and actuated directly form the cage has been provided. 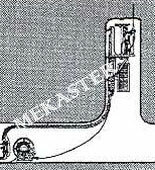 Thus Mekaster Shaft Raising Platform can be brought back by gravity to the bottom station at a controlled speed in the unlikely event of power failure. 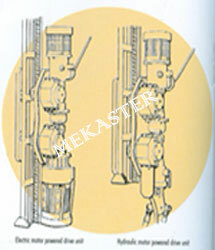 Additionally, the Mekaster Shaft Raising Platform is fitted with a progressive positive action unique safety system. This system is engaged to the rack of the rail through a separate pinion and brings the platform to a smooth stop in case of overspeed. A study and robust safety roof, cage and platform protects crew from falling rocks. The MSRP runs on specially engineered heavy duty rails,using rack & pinion principle which follows the contours of the shaft. These rails contain pipes for compressed air & water for drilling & ventilation purposes. The rails are attached to the walls of the shaft with anchor bolts. This equipment besides serving as a work platform also provides for transport of men & material to the working face. This method provides for parking the MSRP at the bottom station protected from falling rocks prior to blasting. The MSRP along with the crew is then taken up to the work face to start with the scaling operations. A new rail is also added at this time. Copyright © 2013, MEKASTER ENGINEERING LTD.